With Independence Day falling in the middle of the week, many people will be enjoying festivities starting this weekend. Pennsylvania State and local police have planned accordingly and will be conducting DUI patrols and DUI checkpoints (actually they are DUI roadblocks) all across Pennsylvania. It’s ironic and sad that while we celebrate our independence from imperial tyranny in the state where the Declaration of Interdependence was signed, we, the common citizens still face these humiliating assaults on our liberty. We are subject to unwarranted searches and treated like criminals by the government and police who hide behind the facade of “DUI Enforcement.” Their real motivation has nothing to do with the public good, rather these checkpoints are a cash cow for police departments. They are compromising our independence and disregarding the spirit of our Founding Fathers to satisfy their own greed. 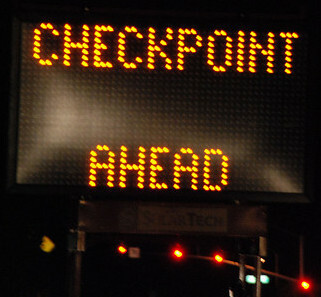 If you would like to stay up-to-date on DUI Checkpoints in PA, subscribe to our our Pennsylvania DUI Checkpoint Feed.